March 2011 – Life is not Accumulation, it is about Contribution. The Plan and Organize domain covers the use of information & technology and how best it can be used in a company to help achieve the company’s goals and objectives. It also highlights the organizational and infrastructural form IT is to take in order to achieve the optimal results and to generate the most benefits from the use of IT. The following table lists the IT processes contained in the Planning and Organization domain. The Acquire and Implement domain covers identifying IT requirements, acquiring the technology, and implementing it within the company’s current business processes. This domain also addresses the development of a maintenance plan that a company should adopt in order to prolong the life of an IT system and its components. The following table lists the IT processes contained in the Acquire and Implement domain. The Deliver and Support domain focuses on the delivery aspects of the information technology. It covers areas such as the execution of the applications within the IT system and its results as well as the support processes that enable the effective and efficient execution of these IT systems. These support processes include security issues and training. The following table lists the IT processes contained in the Deliver and Support domain. The Monitor and Evaluate domain deals with a company’s strategy in assessing the needs of the company and whether or not the current system still meets the objectives for which it was designed and the controls necessary to comply with regulatory requirements. Monitoring also covers the issue of an independent assessment of the effectiveness of IT system in its ability to meet business objectives and the company’s control processes by internal and external auditors. The following table lists the IT processes contained in the Monitor and Evaluate domain. IBM architecture management solutions are provided in two categories: Enterprise Architecture Management and Architecture, Design, and Construction. 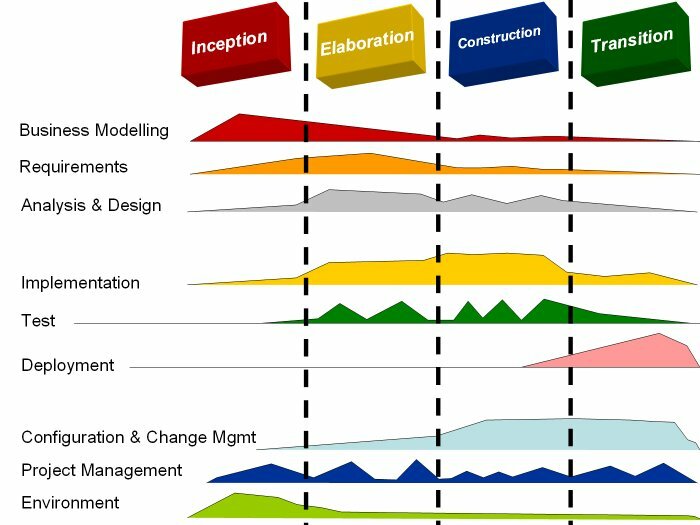 Enterprise Architecture Management (EAM) solution connects the business and technology needs of an organization into a cohesive and dynamic blueprint, providing key capabilities for managing the impact of business-driven change. EAM helps maximize cost savings from consolidations, mergers and acquisitions, and other change initiatives, while minimizing associated risks. It also helps identify potential areas to improve operational efficiency. Because EAM enables organizations to build connections from strategy to solution delivery, it can help you realize optimal business results from technology solutions. IBM Rational software testing and quality management solutions transform the way that teams work together to deliver enduring quality. Offering a full set of software delivery process guidance, best practices, and integrated tools, these solutions support a broad range of heterogeneous applications to help testers and software quality teams achieve improvements in cost efficiency, quality metrics, and time-to-value for business-critical projects. Our solutions accelerate discovery and diagnosis, ensuring clean communication between the business, development, quality assurance, and IT operations. These offerings are optimized to provide actionable development asset traceability, accelerated problem determination, and early detection of post-deployment availability risks. IBM® Rational® AppScan® and Rational Policy Tester are Web site security and compliance solutions that automate application and content analysis. These tools help organizations identify vulnerabilities, assess compliance requirements, and improve the accuracy and reliability of online systems. Rational AppScan provides Web application security vulnerability scanning, testing, and reporting. Rational Policy Tester provides content scanning analysis for privacy, quality, and accessibility compliance testing and reporting. Learn about Jazz technology: IBM Rational’s new technology platform for collaborative software delivery. Enterprise modernization: Increase ROI and reduce risk by leveraging proven code on IBM® System i®, IBM® System z® and distributed platforms. SOA lifecycle management: Streamline the delivery and management of your SOA. SOA governance: Realize the full benefit of your service-oriented architecture. Rational Software Platform for Systems: Discover integrated solutions for systems engineering and embedded software development. Regulatory compliance: Support mandates and standards better. Selain itu ada guidance ITIL dan SDLC yang juga menjadi guidance utama standar pengelolaan IT. IT Security adalah pembahasan yang tidak bisa dilewatkan jika anda menjadi IT System Architect. Dengan mempertimbangkan tingkat keamanan yang ada, maka anda dapat merancang sistem menjadi lebih aman dan handal. 1. Making information security everybody’s business! In today’s healthcare environment, information security and protection of information assets are critical activities for all organizations. Information is the lifeblood of the organization and a vital business asset. IT systems connect every internal department of an organization and connect the enterprise to a myriad of suppliers, partners, and others on the outside, too. a. Evaluating security risks, practices & insider threats. b. Establishing a computer security incident response team (CSIRT). e. The “build security in” initiative. 2. Management Guide (IS Security Auditing). 3. A series of landmark reports published by The IIA. a. Information Security Management and Assurance: A Call to Action for Corporate Governance. b. Information Security Governance: What Directors Need to Know. c. Building, Managing and Auditing Information Security. 7. Managing an Information Security Awareness Program (by Rebecca Herold). Silahkan dinikmati Resources mengenai IT Security tersebut.